Divorce and the family business. A divorce of a director can seriously disturb the functioning of the company financially and emotionally on the director and his or her fellow business officers/ owners. Cheshire family law specialist solicitors at Stonehewer Moss can help guide you through difficult times. The Court may approach the problem of the company on two levels, needs based and equality based. If there are assets greater than needs, the Court is likely to distribute assets on an equality basis. A company shareholding may have to be sold, possibly with tax implications. Michael Brennan, the accredited solicitor dealing with financial disputes in divorce suggests the following be considered. a) What if any market is there for the shareholding? b) If shares must be sold, can the company buy them back? What is the significance of a minority holding in the company? Does a shareholder agreement exist? c) Does the company have liquid assets or should valuation be based on earnings within the company? d) Can the money be raised by loans from the company, repayment of directors loans, or personal loans? If not, what are the tax consequences of sale? e) If the company is to continue to trade can the company trade effectively with involvement at some level by a spouse? f) Is the company just an income stream or should an expert value the company for the court? Valuation is current market value. g) Should some adjustment be made for pre marriage creation of value or post separation growth? In most cases, the financial needs of the parties to live a standard commensurate to a reasonable degree with that during the marriage will trump other issues.The Court seeks to deal with the case justly. What might happen to fund a settlement or order? Raise money by pay, dividend or loans to equalise assets to be distributed. Pay periodical payments for life with security against shares. 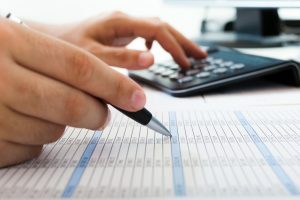 The advice of a shadow accountant is helpful to guide you. Acting for the spouse, I find banging on about a forensic accountant yields a settlement. Modern trends are towards seeking arbitration of divorce financial settlement to avoid an over burdened court system at a fixed rate if available. The award is incorporated into a consent order of the court. For advice, negotiation and representation in family law issues please call 01606 872200 or e mail info@piplaw.co.uk visit www.stonehewermoss.co.uk to read more blogs on family law issues. This article was added on Monday, December 5th, 2016 at 2:13 pm and is categorised under Cheshire News, Chester News, divorce finances, Family finances, Macclesfield News, northwich solicitors, Runcorn News, St Helens news, Warrington News, Widnes News, Winsford News. Both comments and pings are currently closed. Error: Error validating access token: Session has expired on Saturday, 09-Mar-19 13:12:58 PST. The current time is Wednesday, 24-Apr-19 19:58:07 PDT.